In Guatemala, Christmas is celebrated on Christmas Eve not on Christmas Day. Most people go to church and then head home to eat tamales and drink hot ponche at midnight. Well, at least everyone says they eat at midnight. The truth is everyone eats their tamales between 11 and 11:45, so they can be out on the street at midnight to see the huge fireworks displays. 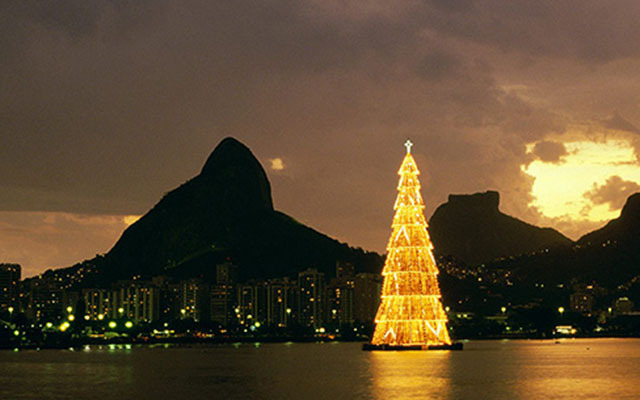 Being in the Southern hemisphere, Christmas in Brazil is during summertime. The weather is hot. Many Brazilians will spend the holiday by the beach or the pool. Most of the celebration is done at midnight on Christmas Eve. That’s when the big meal is eaten, Papai Noel (Santa Claus) visits, the presents are opened, and people go to mass called Missa do Galo. 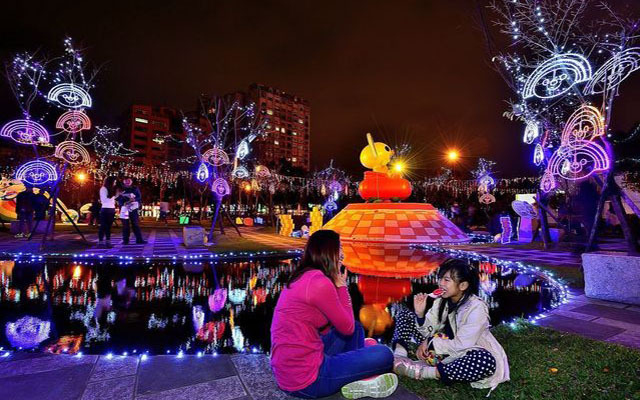 Believers in Taiwan use Christmas as an opportunity for evangelism. Because it is not a legal holiday, they will often have a Christmas party/service/gathering on the Sunday before Christmas. 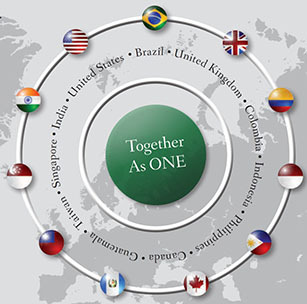 They plan a program that will attract non-churched people in their communities. It’s kind of a “mixed metaphor”. They will often have a Santa there to hand out small gifts to children, but almost always the gospel is also presented in some way. 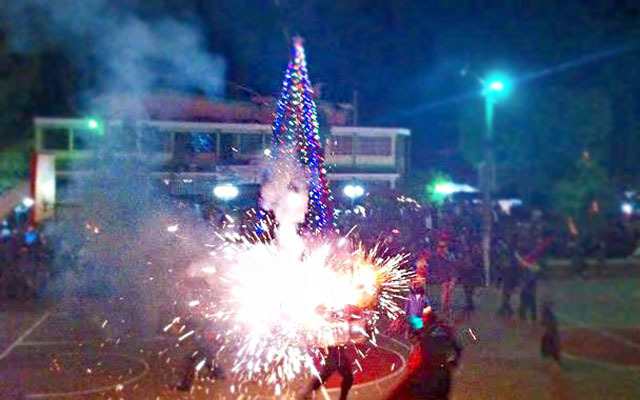 Colombians celebrate the Novenas, nine days before Christmas Eve. Families gather together to pray, sing, and celebrate the upcoming birth of Jesus. Colombians might even go house to house singing and praying in front of the nativity scenes people create during the Christmas season. 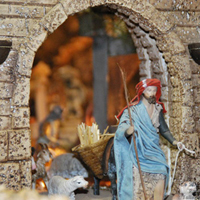 Spaniards are crazy about their Belenes, known to us as nativity scenes. They include the whole town of Bethlehem such as the baker, farmers, the little stable with Mary, Joseph, and baby Jesus. These are found in homes, stores, churches, airports, schools, as well as life-size ones in roundabouts, in caves, and in town centers. They are a vivid reminder of the very normal, everyday setting in which the amazing King Jesus was born. On Christmas morning, all the Christians will get together in the town square. They have a huge concert with carols sung, signs and flags waving. A bunch of vendors sell balloons, and others give sermons talking about Jesus. Then as the sun rises, the Christians will all be quiet when the call to prayer from the town mosque goes off. After that, as if the interruption never happened, the party starts back up. It comes off as somewhat paradoxical – to have this freedom to gather and worship and yet be reminded of the minority status. The church highly values the singing of carols interspersed with the Nativity narrative. 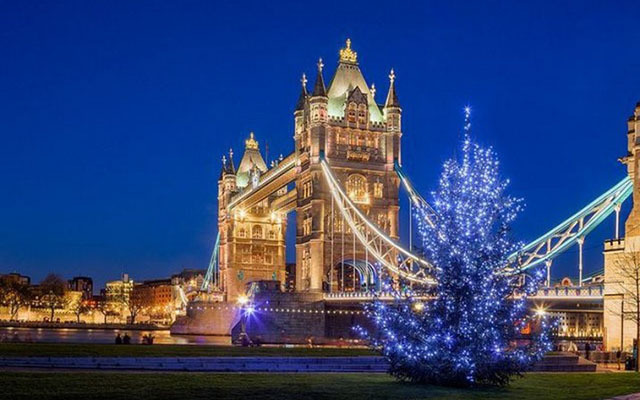 The Christmas meal is also highly valued including some big chunk of meat (turkey, duck, lamb, ham) plus Christmas pudding – quite unique to England. People also enjoy a good silly mixed-up Panto play. So, on one hand, the traditional religious British seem to love their sacred music and nativity play, whereas the secular culture loves their food and alcohol. They ALL love “crackers” – wrapped poppers with little toys in them. 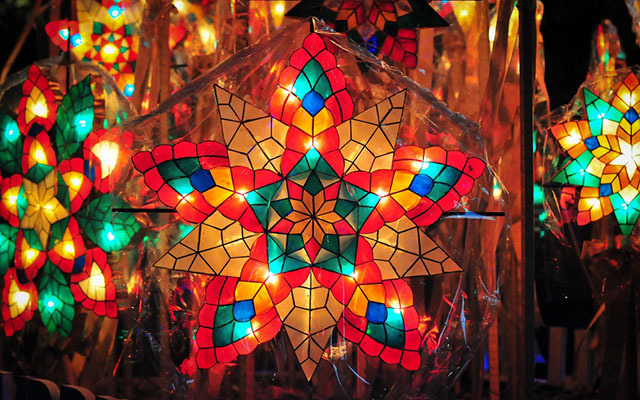 Filipino’s love this holiday, and you will see decorations beginning to show up in malls and homes starting with the “ber months” (September, October, November, December). Most families gather together Christmas Eve for a midnight feast called Noche Buena. 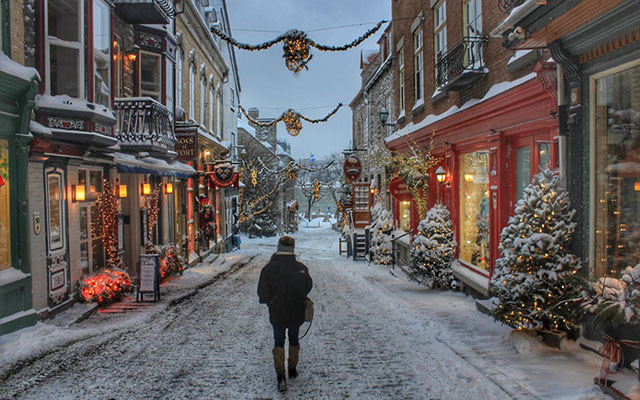 Christmas celebrations in Canada are similar to a lot of the Western world. Due to a large immigrant population, many different cultural traditions and foods are incorporated into the holiday. Along with turkey, some Canadians will enjoy cabbage rolls and Swedish tea rings. Canadians also extended the holiday, having Boxing Day (December 26) to celebrate as well. Christmas is not a large religious festival in India, being that the population is only about 2.3% Christian. In the state of Goa, in Western India, about 26% of the population identifies as Christian, making the holiday popular in the state. 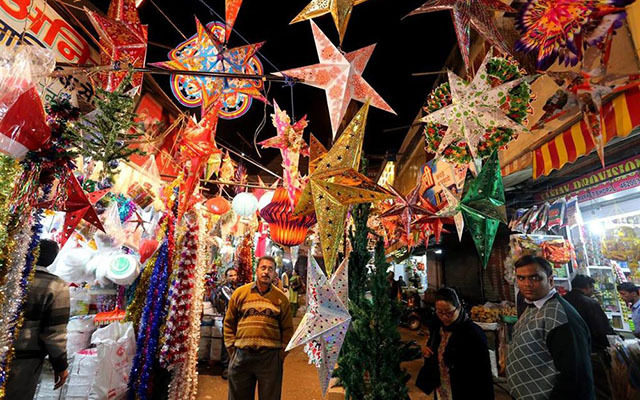 Paper lanterns in the shape of stars are hung outside windows on Christmas Eve, looking like the stars floating above the street. After a big meal on Christmas Eve, Christians head to Church for a Midnight mass service. After the service, the church bells ring to announce that Christmas Day has arrived. 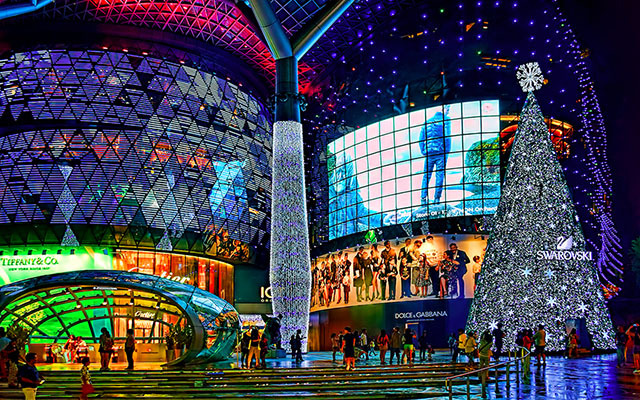 Christmas in Singapore has adopted a lot of Western traditions to celebrate the holiday with a Singapore—twist. Traditional turkey gets flavored with Asian spices like chili and ginger. With a strong Christian community in Singapore, they ring in the holiday with church celebrations, services, and caroling. 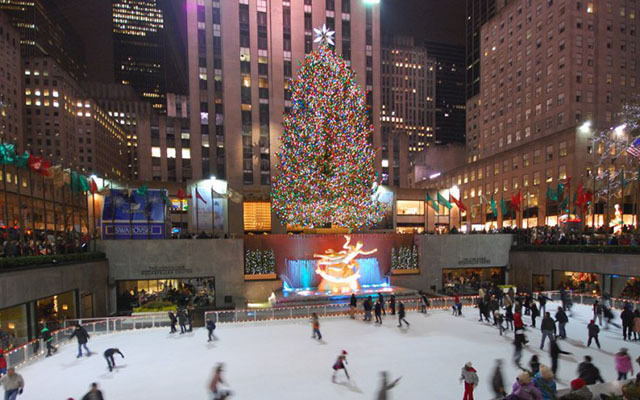 Christmas in the U.S. is celebrated as diversely as it is around the world, as the culture is a mix of many. 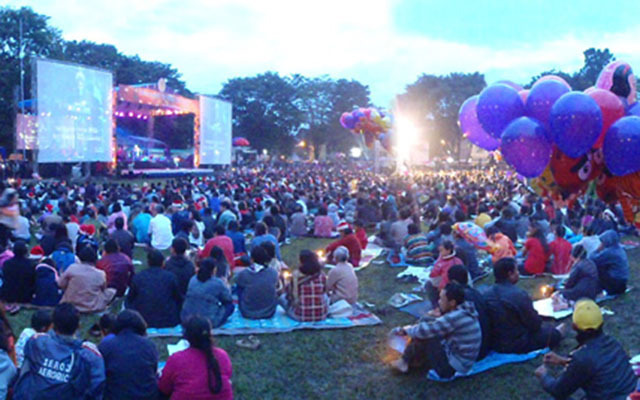 Many people join their church communities for a Christmas Eve service celebrating the birth of Christ. Christmas Day is spent with family, enjoying each other and sharing gifts and good food.